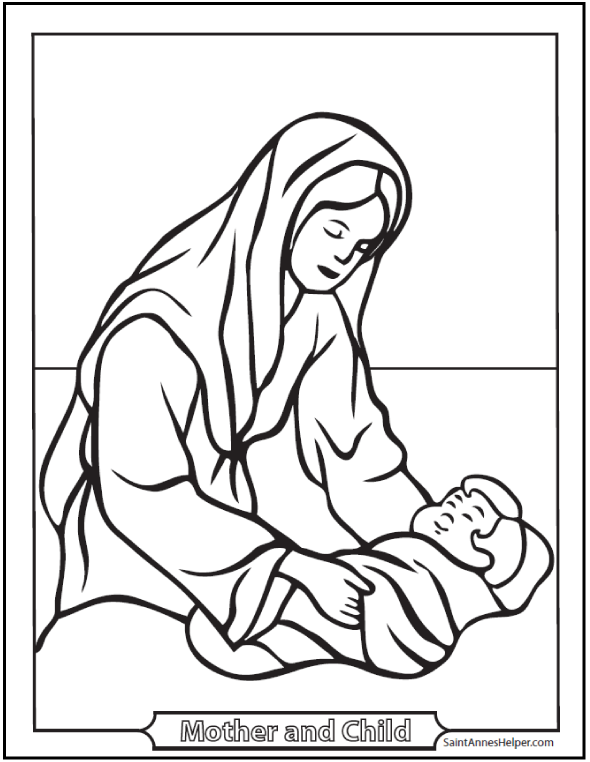 Mother's Day coloring pages or greeting cards. 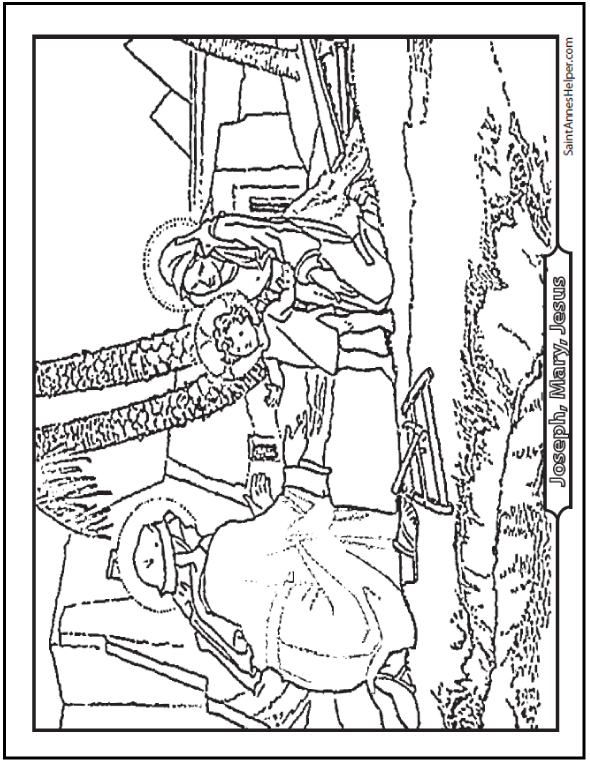 When you're teaching children about Mary, it's nice to have religious Mother's Day coloring pages. Truly there are many times when you can show them that even here at home it's better to ask Mom to ask Dad than it is to ask Dad directly. When they're begging you to ask because they feel that if they ask, Dad will not say "Yes. 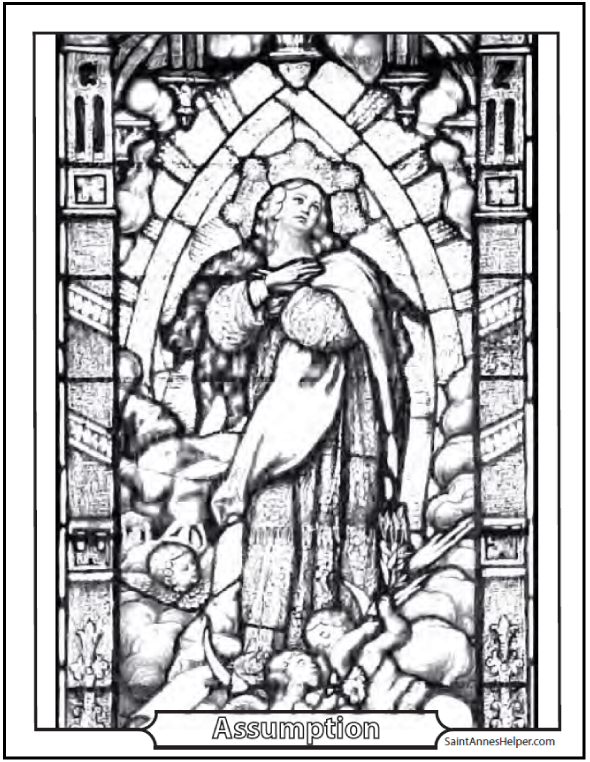 "; that's the time to emphasize Mary's intercessory power with God. "Do you really want me to ask Dad?" "Yes, Mom. He'll say yes if you ask. Please?" "Hm.... Do you see how sometimes it's best when the Mom asks?" "Well, remember how we were talking about Our Lady? Please remember through your life that as much as I love you, she's your best Mother; and she can intercede for you better than I can. Say a Hail Mary while I go ask Dad." Excellent lesson in having Faith in God's promises and in His saints' intercession - especially Our Lady. She knows how to dress up your request, put it in the right words, remind God of some virtue you've practiced. 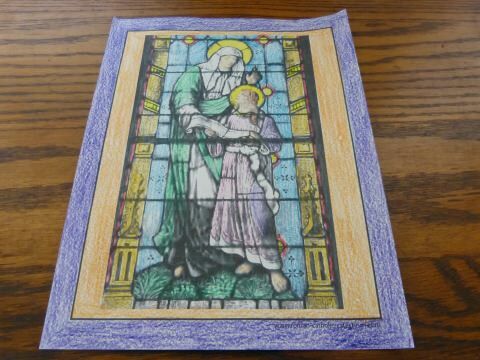 I wish I could remember where I read an excellent story of Mary's power to dress up our gifts to God just like Moms dress up and improve requests to Dads. I think it was related to a story about a queen putting a gift on a silver platter and offering it when the king was best disposed. 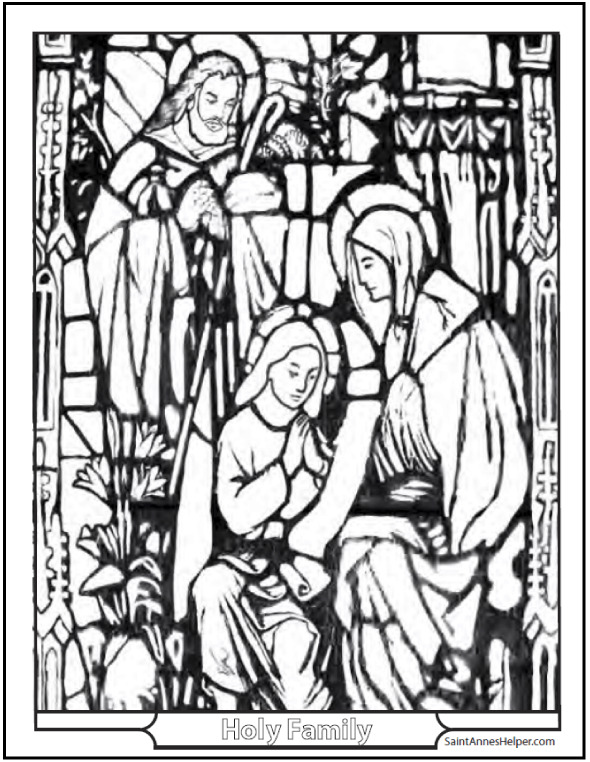 Many times a parish will have the May Crowning of Mary as Queen on Mother's Day. 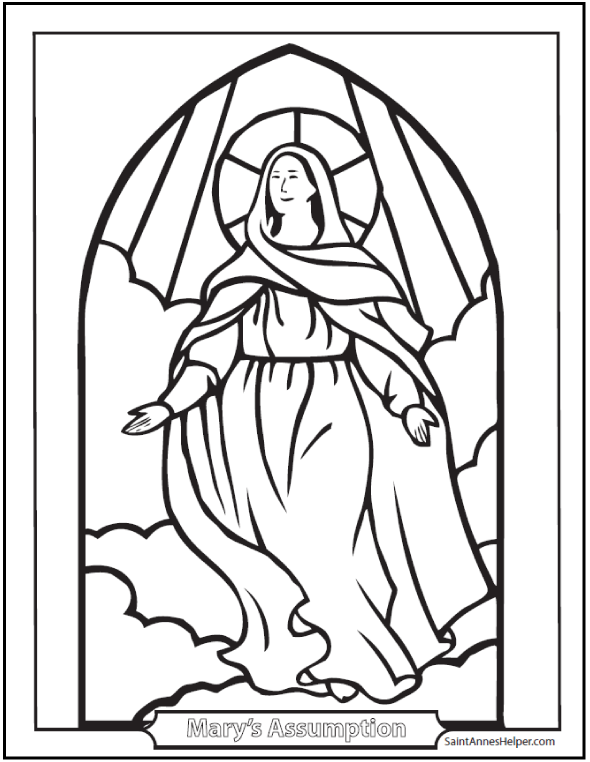 Mother's Day coloring pages with a religious theme are another great way to honor Our Lady and to remember our own mothers. All our coloring pages are now interactive which means that you can type personal messages for Mom in your favorite font, colors, and SIZES. 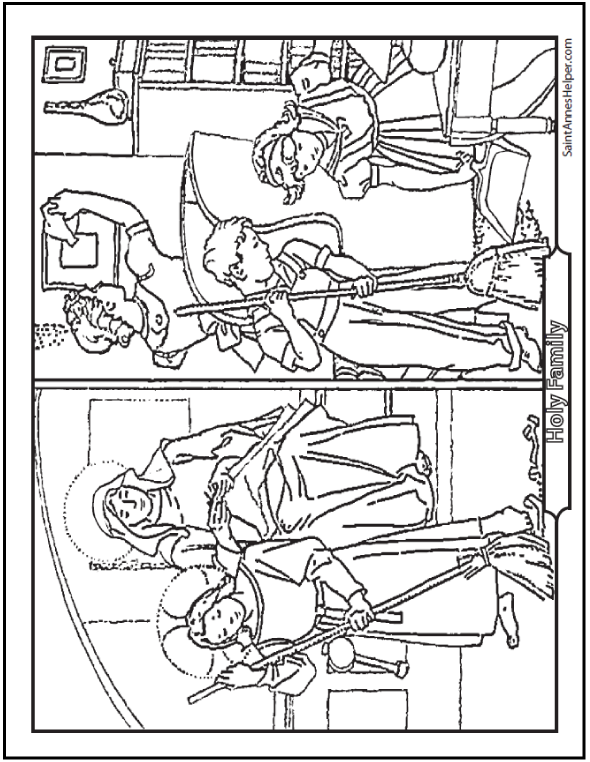 If you use the booklet setting on your computer the image will print half sized and can be used as a Mother's Day card. 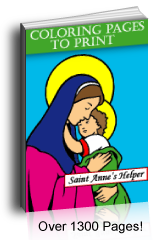 Do your children know that Saint Anne was Mary's mother? 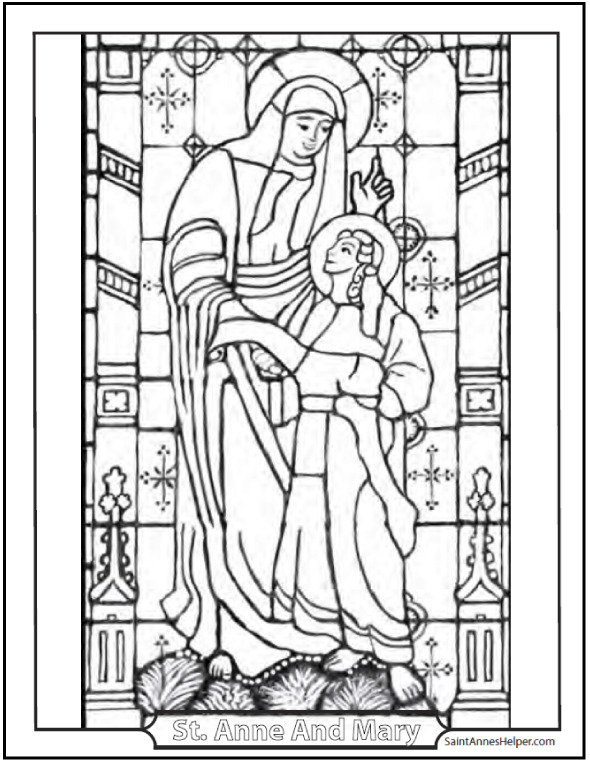 She's also our website patroness and we like to honor her along with Mary. 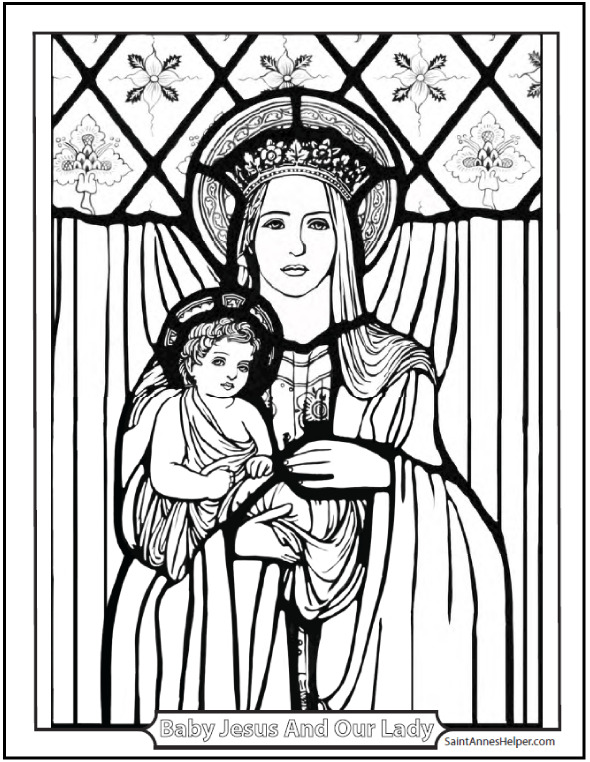 Our Lady is the model of Christian motherhood, so we have quite a few coloring pages of her on this page. 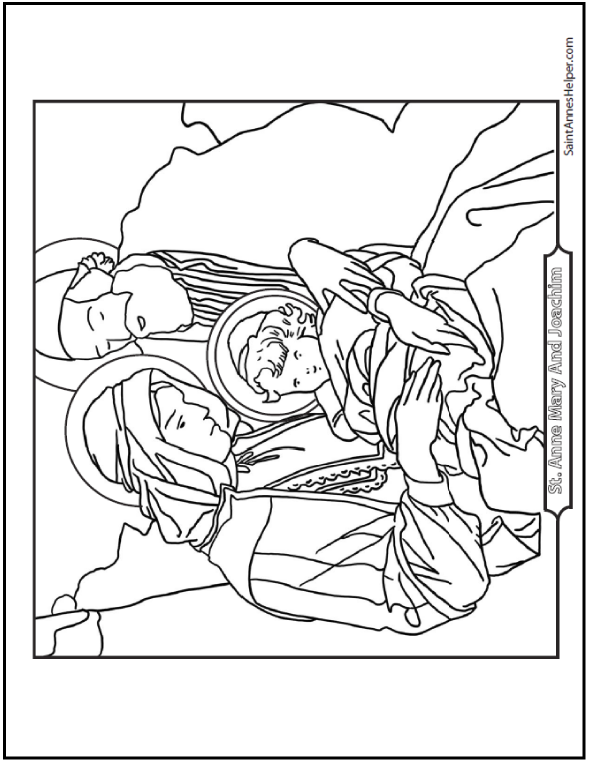 We think that these coloring pages of Our Lady will be wonderful to give to Mom and to Grandma. 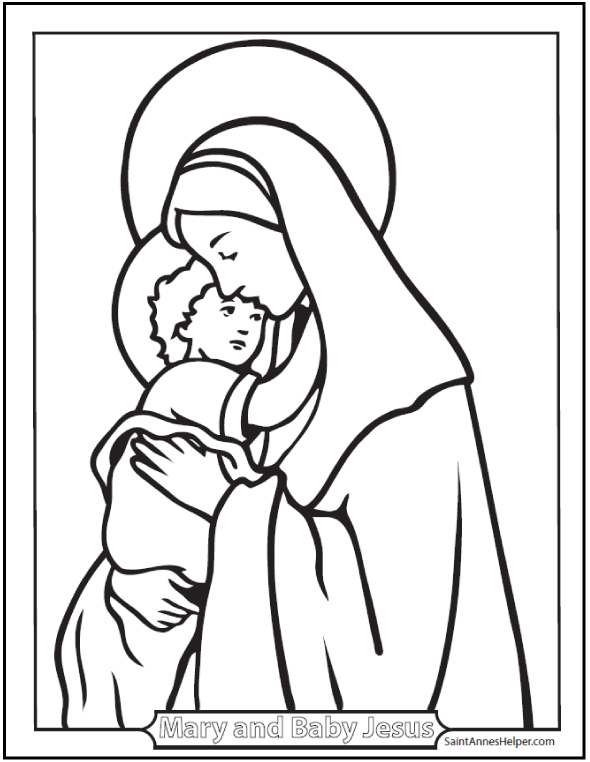 These coloring pages for Mom are also great for other feast days, especially those related to Mary and her Motherhood. Do you have friends who are named Mary or who have birthdays on one of Mary's feasts? Print these for them on their special days. 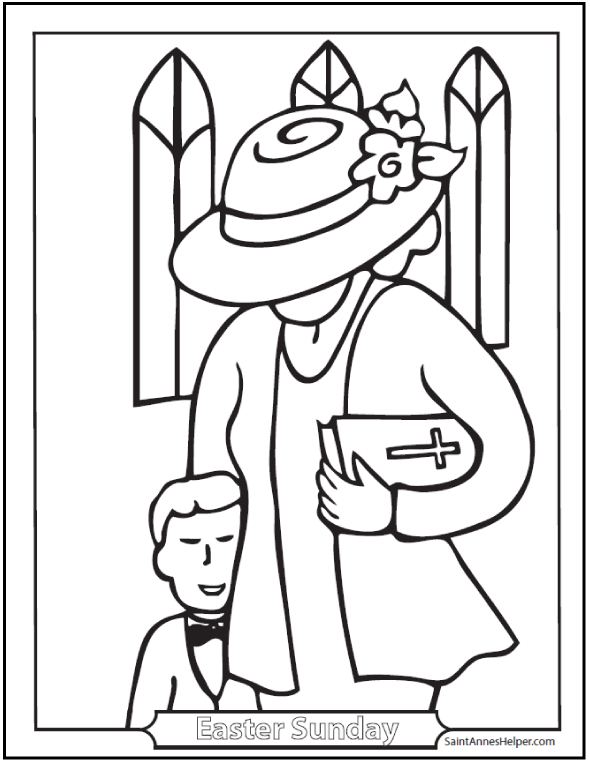 Also, there are many more Mother's Day coloring pages at our sister site, ColorWithFuzzy.com. 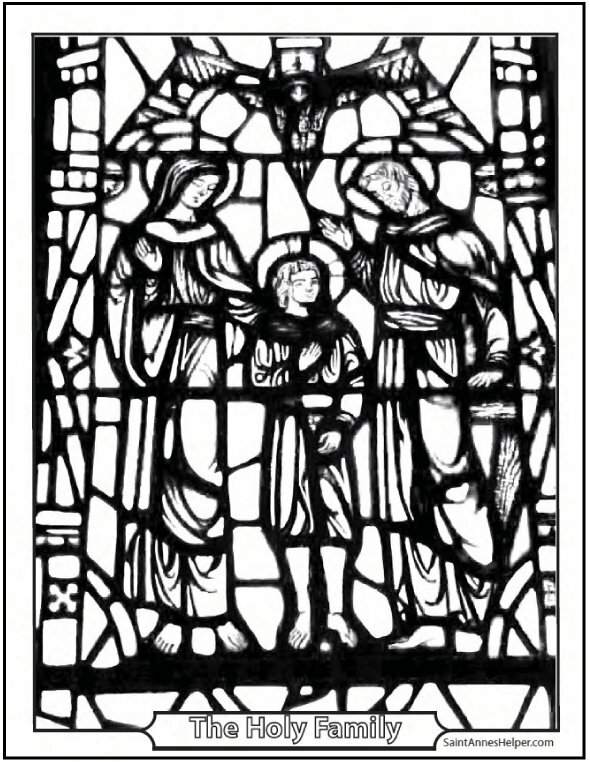 Saint Anne was Mary's mother and Jesus' grandmother.